Hai, I am jayachandran, just 29 years old. I was born at Thuraiyur near by Trichy. I have only one brother and his name is K. Ravichandran who is a farmer. My father’s name is R. Krishnasamy and my mother’s name is K. Jayalakshmi. They are also farmers. I have completed my schooling in difference schools like A.G.M. Higher Secondary School, Eragudi, Senguthar Higher Secondary School, Thuraiyur and E.R. Higher Secondary School, Trichy. I did my B.Com from Nehru Memorial College at Puthanampatti during 1999-2002. I got PGDCA from Nehru Memorial College at Puthanampatti, in the year 2002-2003. 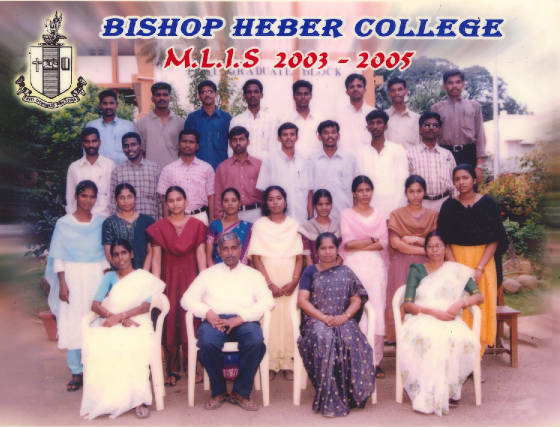 I finished M.L.I.Sc from Bishop Heber College at Trichy between 2003-2005. I completed my M.Phil from Alagappa University at Karikudi recently. I have more than 5 years of experience in the field of library and information science. I have been working as an Assistant Librarian in Birla Institute of Technology and Science, Dubai since 5th August 2008. I worked as an Assistant Librarian in Karpagam College of Engineering at Coimbatore from 25th January 2007 to 25th July 2008. I was with V.L.B. Janakiammal College of Arts and Science at Coimbatore between 10th August 2005 and 20th January 2007. I have well equipped in Library routines like 1.Circulation of books (Issue / Return / Renewal/ Reservation). 2. Serial Control Maintenance like Subscriptions / Renewal / Reminder. 3. Purchase of books. 4. Budget Control 5. Digitizing the library documents using digital library softwares like Greenstone Digital Library (GSDL) and Dspace which are ready available. 6. Accessing Online Databases like IEEE, ACM, ASME, EBSCO, Delnet and other library services like Reprography/Scanning/CD or DVD Writing/ Split and Merge the files/ Converting the files from one format to another using Open Source Software.